If you’re a fan of the Jurassic Park films, you’ll remember the scene where the park’s owner John Hammond (aka Richard Attenborough) trys to reassure Dr Ian Malcolm (aka Jeff Goldblum) that there’s no need to worry about the park’s dinosaur creation programme. Totally unconvinced, Dr Malcolm replies with those prophetic words, “Life finds a way.” And it certainly did in that film! Whilst in some places humankind is busy destroying vast numbers of species, in others, nature makes a come-back as soon as our backs are turned. For very often life does find a way, with or without human help, and in some of the unlikliest of places. 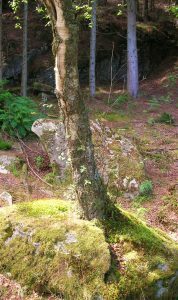 Rock becomes home to lichen and even trees. Trees become home to fungi of every shape, size and description. The tiniest foothold is all it takes and growth begins, however precarious. Given half a chance plants will make a go of it. And we need them to do just that! We need them for food and for our health. 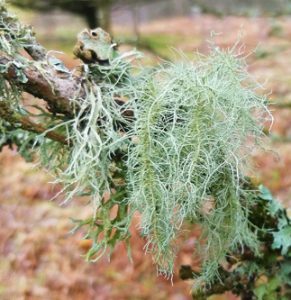 Go for a walk in the countryside and you’ll see trees draped with Old Man’s Beard and other lichen, telling you the air is clean and free from pollutants. And bogs. You’ve probably noticed that there are a lot of bogs in Scotland, but before you curse them for your wet feet, it pays to remember that sphagnum moss takes in, and holds onto, the nitrates that are so harmful to humans. And as long as the bog remains wet enough, these won’t be released back into the atmosphere. We need our bogs! Sphagnum moss has also been used for centuries as an antiseptic dressing for wounds. Never more so than during World War I. Absorbant and extremely acidic (think preserved bog bodies), it inhibits the growth of bacteria. The horrific prevalence of sepsis, a life-threatening condition caused by the body’s response to infection, was killing more men than their actual wounds did. And even by December 1915, field hospitals were running out of bandages. The situation was critical as the numbers of wounded continued to rise unabated. The work of two Scots, eminent botanist Isaac Bayley Balfour and military surgeon Charles Walker Cathcart, saved the day. They identified the mosses that served best to staunch bleeding and to heal wounds. Unsurprisingly, both were mosses of which there was no shortage in Scotland! Their research saved the lives of many young men. Which makes it all the more heart-breaking that Cathcart’s only son died of his wounds during that barbaric war. We know that the human race is wiping out other species faster than ever before. But what if, ironically, our civilisation, our way of life, was the one to go first, and nature (think nettles, brambles, bracken and dandelions) ended up taking over the world? At school we read John Wyndham’s terrifying Day of the Triffids and I don’t think I ever quite looked at some plants in the same way again! Yet we need plants for our survival far more than they need us. So rather than have a Day of the Triffids senario, we really need to be kinder to the natural world, and hopefully it’ll continue to be kind to us! 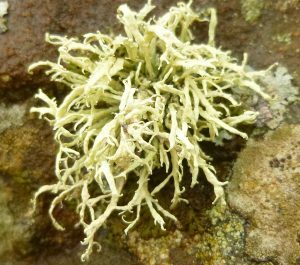 This entry was posted in History, Scotland, Travel, Writing and tagged Bogs, Charles Walker Cathcart, Day of the Triffids, Isaac Bayley Balfour, Jeff Goldblum, John Wyndham, Jurassic Park, Lichen, Life finds a way, Moss, Scotland, Sphagnum Moss, WWI. Bookmark the permalink.